The group are being led by the Kallangur Lions Club and are raising funds for the Children’s Cancer Institute (CCI). The club holds an annual ride in a different part of Queensland every year. This year’s event marks the 15th time it’s been run, as well as the third time it’s been held in the South Burnett. 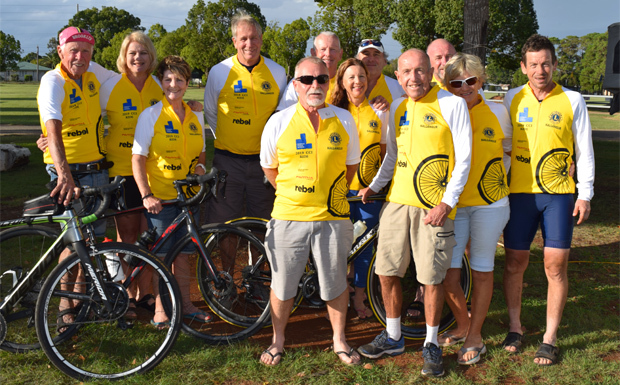 Glen Drew, from the Kallangur Lions, said the cycling event began in the early 2000s when the child of a North Queensland Lion was diagnosed with cancer. The child’s father wanted to support the CCI’s work in researching the treatment and management of childhood cancers, and the ride quickly became the fundraising vehicle of choice. Glen said the ride has raised about $600,000 for the CCI since it began. “For many years we were raising about $40,000 per ride, but in the past few years that’s climbed to over $50,000,” he said. Glen said most years the ride attracts up to 70 riders, who aim to cover between 80km and 110km per day over five days. But this year’s numbers were slightly down because the ride clashed with a major cycling event in Brisbane. However, the group doesn’t believe this will have a major impact on their fundraising goal. Many riders are members of Kallangur Lions, but just as many are not. Glen said the ride was open to anyone who wanted to help the cause and have fun, and participants had came from as far afield as Mackay to take part. The ride is also open to all ages: the youngest rider in this year’s contingent is 14, and the oldest is 78. Glen said the last time the group was in the South Burnett they shifted camp each day. But this time they elected to use the Kingaroy Showgrounds as their base and travelled different routes each day instead. Their support crew prepared breakfasts and lunches and the Wooroolin, Kingaroy and Nanango Lions shared dinner duties. “The showgrounds were really helpful and offered us a reduced rate, and the local Lions clubs have all donated the dinners to help support the ride, too,” Glen said. The group kicked off this year’s ride with a trip to Proston and Boat Mountain on Monday. On Tuesday, they cycled the Tingoora area and on Wednesday they pedalled out beyond Kumbia for a glimpse of the Coopers Gap Wind Farm turbines. On Thursday, the group rode from Kingaroy to Maidenwell via Pimpimbudgee, and on Friday they took a tour past the proposed Kingaroy coal mine site through Coolabunia and into the forestry behind Nanango. South Burnett Mountain Bike Club president Jason Wyeth took part in this year’s ride. Jason said several of the CCI riders will be joining this year’s South Burnett Ride For Relay to help raise funds for Relay For Life because they’d enjoyed the area so much. And about a dozen others who brought their caravans along for the ride now plan to stay longer and spend extra time exploring the region next week. 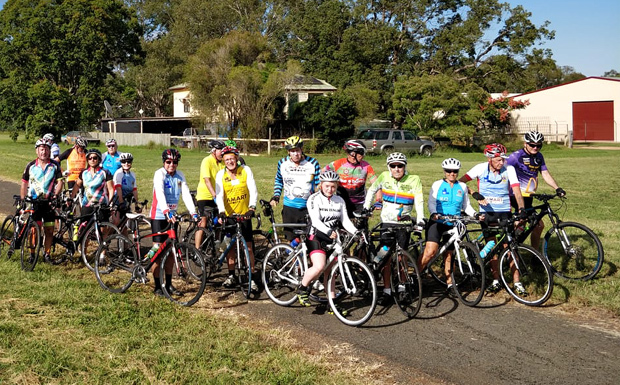 “We travelled along part of the South Burnett Rail Trail on one of the rides and a lot of the group were very impressed with it, as well as our beautiful countryside,” Jason said.